The sleek Fever Illuminated Mirror Cabinet boasts a built-in heated demister pad that ensures the mirror remains crystal clear even in the most steamiest of bathrooms. 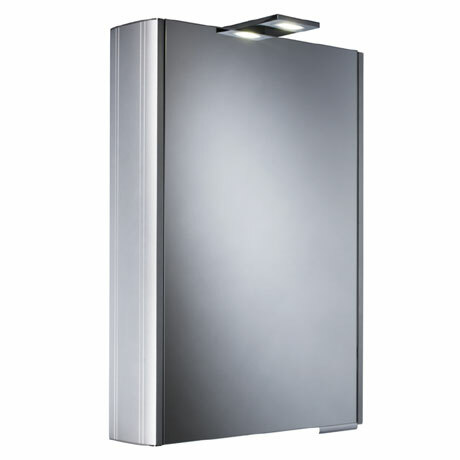 This stunning mirror cabinets other features include Infrared on/off sensor controls, single square LED light, shaver socket and a soft closing double sided mirror door. Mirror cabinets provide a great alternative to a mirror when you need additional storage space.